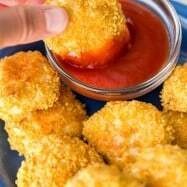 My husband and son were buzzing over these chicken crispers. My 4-yr old loved dunking them in ranch while my hubby preferred the more adult flavors of the honey mustard sauce. 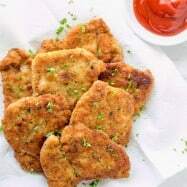 These chicken strips are much healthier and tastier than any chicken strips or chicken nuggets you’ll find in the freezer aisle. They’re baked at just the right temperature which gives them that crisp golden crust. 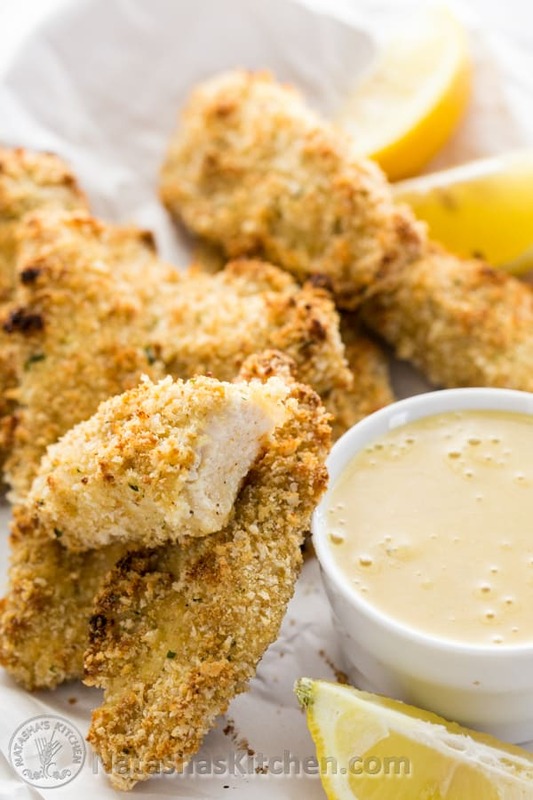 The breading seals in all the amazing flavors and makes these chicken tenders just right. You’ll be back for seconds ;). 1/2 tsp poppy seeds (for effect, optional ;)). Preheat Oven to 450˚F. Line a large, rimmed baking sheet with foil (to save yourself some clean-up). 1. 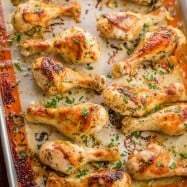 In a large bowl, whisk together 1/3 cup dijon mustard, 1/3 cup real mayo and 3 pressed garlic cloves and set aside to let the garlic infuse into the marinade while you prep your chicken. 2. Place bread crumbs in a second bowl. 3. Rinse and pat dry your chicken with paper towels. Trim off any excess fat and cut chicken breasts into 1-inch thick strips. Lightly season both sides of the chicken strips with salt and pepper. 4. Place chicken strips into the marinade and mix well. 5. 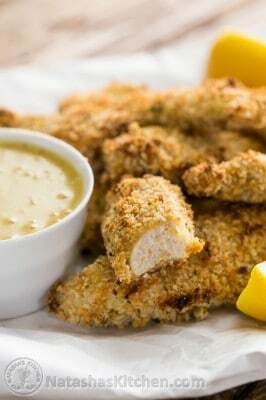 Roll each chicken strip into your bread crumbs a couple times to get a nice coating of crumbs then transfer breaded strips to prepared baking sheet. For the best, crispy crust results, do not overcrowd chicken. 6. Bake at 450˚F for 15-17 min or until chicken is cooked through and golden brown on the outside. 1. 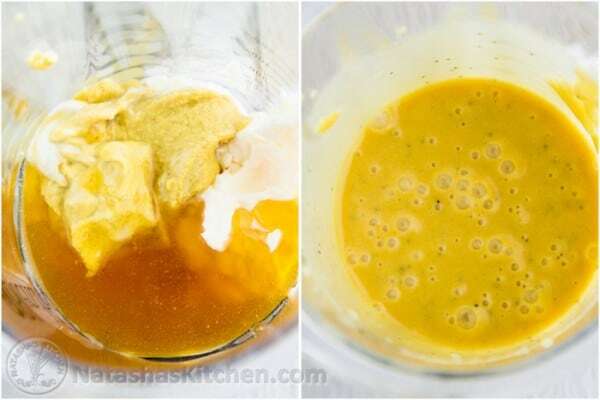 In a medium bowl (or in a blender), mix together 1/3 cup dijon mustard, 1/3 cup honey and 1/3 cup real mayo until well blended. 2. Stir in poppy seeds (if using). Refrigerate your dip until ready to serve. 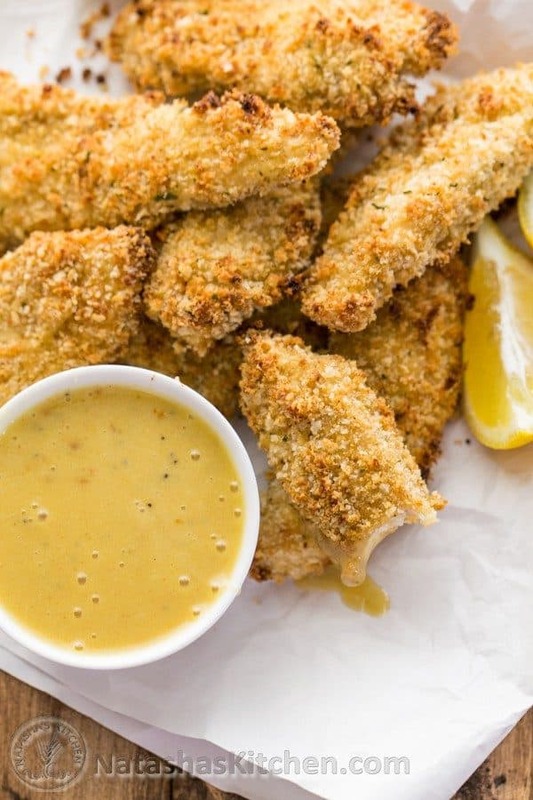 Serve chicken strips warm with ranch, honey mustard or your favorite dipping sauce. These chicken strips are much healthier and tastier than anything you'll find in the freezer aisle. They're baked at just the right temperature which gives them that crisp golden crust. 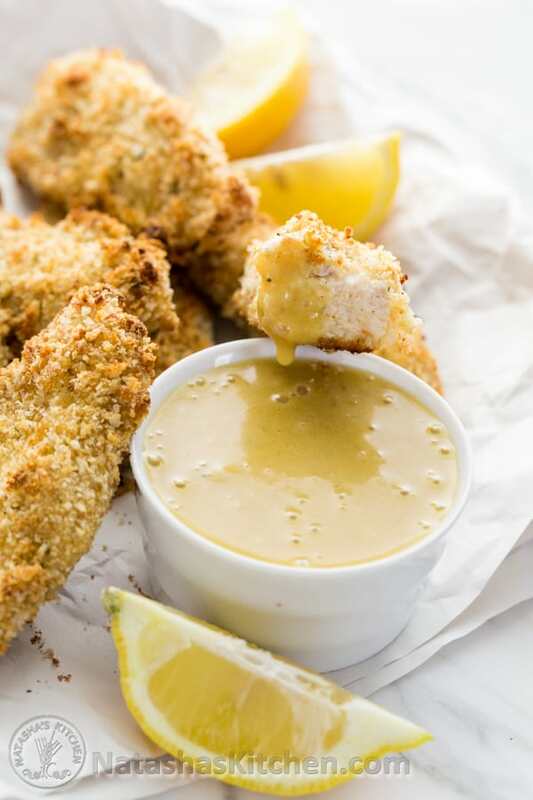 The breading seals in all the amazing flavors and makes these chicken tenders just right. Serve them warm with ranch, honey mustard sauce or your favorite dip. 1/2 tsp poppy seeds for effect, optional ;). 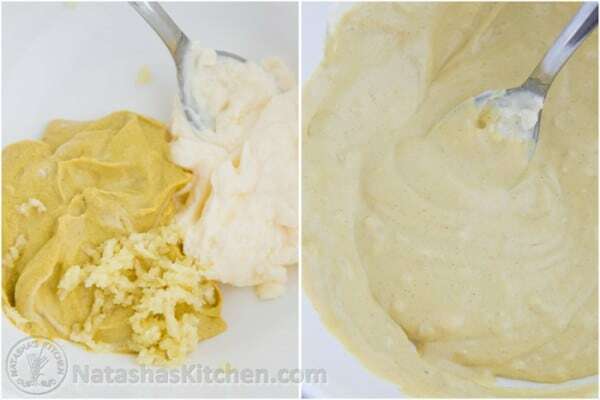 In a large bowl, whisk together 1/3 cup dijon mustard, 1/3 cup real mayo and 3 pressed garlic cloves and set aside to let the garlic infuse into the marinade while you prep your chicken. Place bread crumbs in a second bowl. Rinse and pat dry your chicken with paper towels. Trim off any excess fat and cut chicken breasts into 1-inch thick strips. 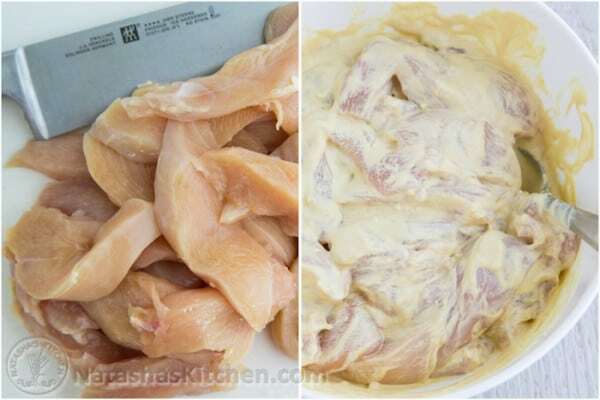 Place chicken strips into the marinade and mix well. 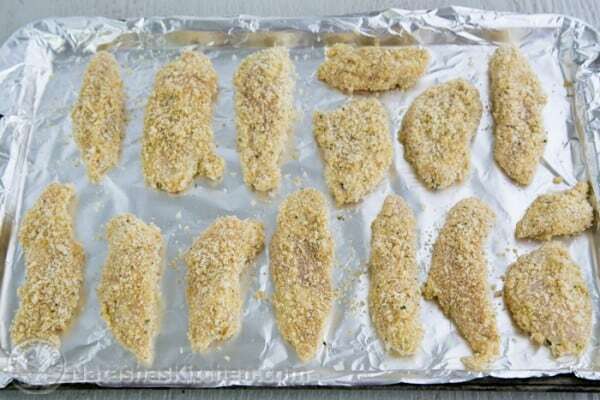 Roll each chicken strip into your bread crumbs a couple times to get a nice coating of crumbs then transfer breaded strips to prepared baking sheet. For the best, crispy crust results, do not overcrowd chicken. Bake at 450˚F for 15-17 min or until chicken is cooked through and golden brown on the outside. 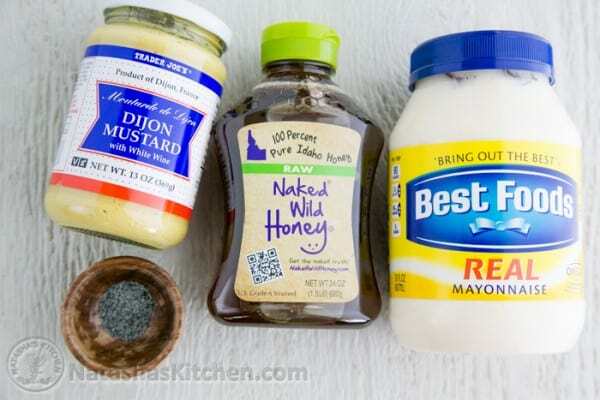 In a medium bowl (or in a blender), mix together 1/3 cup dijon mustard, 1/3 cup honey and 1/3 cup real mayo until well blended. 2. Stir in poppy seeds (if using). Refrigerate your dip until ready to serve. What’s your favorite dipping sauce? I’m a ranch kinda girl myself ;). Natasha! 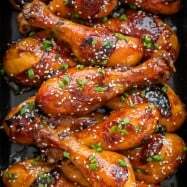 I love all your recipes ! They are so easy to follow thank you! 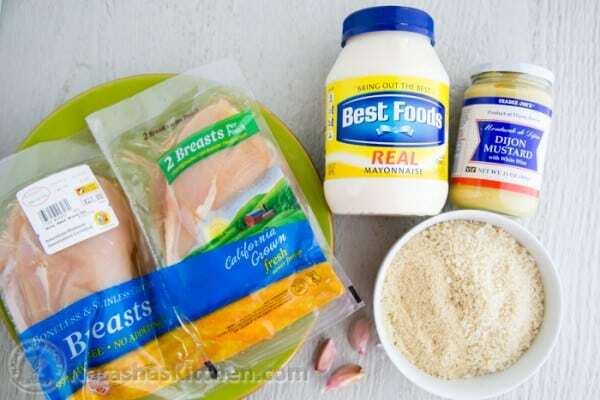 Tried this, my husband hates mustard and mayo and he loved this! I love the dip, so easy to make. Second time I made it I added a little Sriracha to the marinade to add a touch of heat, turned out great. 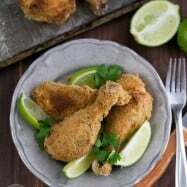 I’ve made your breaded chicken drumsticks many times, but I think chicken breast is the winner. The meat comes out so much juicier and bakes super fast. Oh, and the dip is a must to go with this recipe. I love baked chicken tenders! 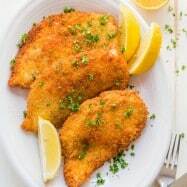 I make a similar recipe: chicken breast dipped in Italian Dressing, then dipped in Italian Breadcrumbs. I bake at 425 and then dip them in dijon mustard mixed with honey. A little less calories than the mayo dipped ones but still yummy. I will have to try your version soon!